"Okay, you're awake, back among the human tribe. Now what? You are not alone in wondering what is the best way to fight the globalists. There is a vastly growing human tribe that understands your frustration of feeling like a helpless fly caught in an inescapable spider web. It can seem defeating the more we learn about the criminal nature of the ruling elite; their plans, their desire to have absolute control, and their infrastructure that's darn near complete to achieve their goals. 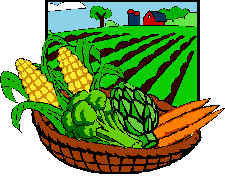 However, there is an incredibly easy solution and powerful weapon for defeating the elite — it's called local food."